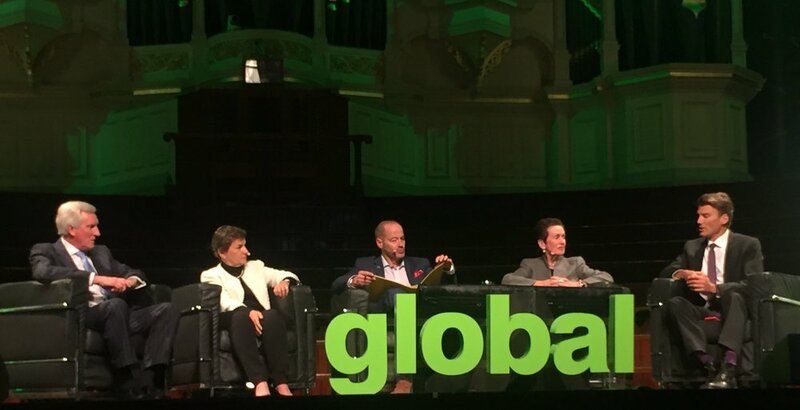 Last night, over a thousand Sydneysiders had the opportunity to hear some refreshingly sensible words from global leaders on climate action. As Executive Secretary of the UN Framework Convention on Climate Change, Christiana Figueres secured agreement from 195 of the world’s 196 countries at the Paris Climate Accord, the most significant action on capping greenhouse emissions. She spoke alongside the Mayor of Vancouver, Gregor Robertson, former Liberal Party leader John Hewson, our Lord Mayor Clover Moore and MC Adam Spencer. I’m proud that I’m part of a Council that has been carbon-neutral since 2007, however, all leaders last night were in agreement; the time to act is now, the upside is enormous (the downside is unthinkable), and every level of government has a role to play in action against climate change. John Hewson is the former leader of the Liberal Party (back in 1993, in the pre-Howard era). He labelled the Government’s obsession with the Adani coal mine as planet-killing ‘insanity’ and he slammed the current federal government for having “no strategy for meeting our Paris targets” and for “leaving these challenges to future generations,” labelling it as intergenerational theft. I don’t think I’ve ever agreed with John Hewson before, but it’s hard to argue with that. 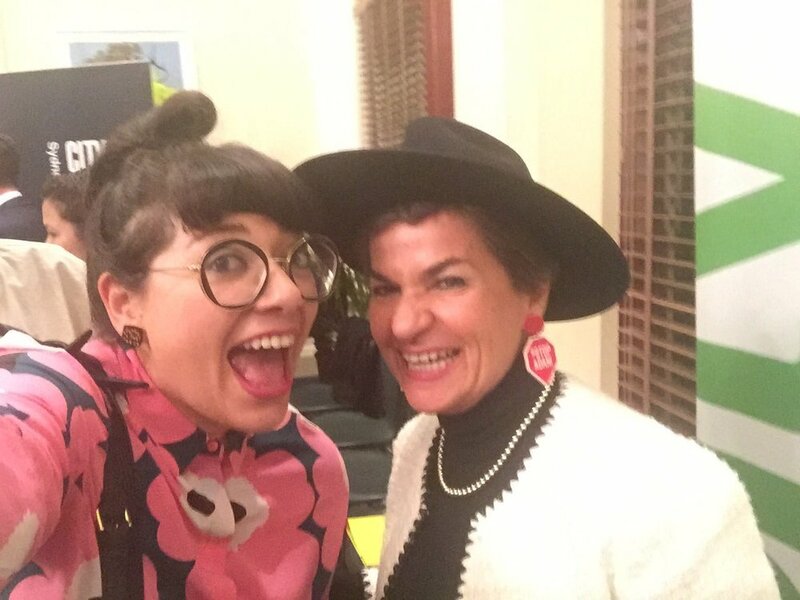 Christiana Figueres wearing her Stop Adani earrings. Christiana Figueres reminded us that Australia has been on a ‘ten-year hiatus’ (at least) on climate action and is having “a particularly messy transition” to renewable energy. However, she reiterated that this shift is inevitable and inexorable: Australia can either get on the renewables train, or find ourselves under it. She called on the Australian Government to step up, saying the next three years “are crucial”, reminding us that “whatever investments made in infrastructure now will be our emissions portfolio in 2050.” Projects like the Adani Carmichael coal mine in Queensland, and Westconnex in Sydney, are fossil fuel hungry sinks that are the antithesis of climate action and must be stopped for a viable future. While government decisions matter, it will take the private sector, community - all of us - working together to take action on climate, as “Leadership is not only at the top, We need collective, collaborative leadership at all levels in all sectors." "You can't put band-aids on a systemic problem,” she said, but not only can our government turn our fortunes around if it dares to invest, she believes "Australia has everything it takes to be a leader in the C21," due to our vast lithium reserves for batteries, plus infinite amounts of solar and wind. Mayor Gregor of Vancouver, COULD NOT BELIEVE we were ripping up a beautiful city to run a toll way right through the middle of it. He told us that whilst we are spending untold billions on a tollway that no one asked for, Vancouver is ripping up its former freeway projects to make way for parkland and affordable housing. 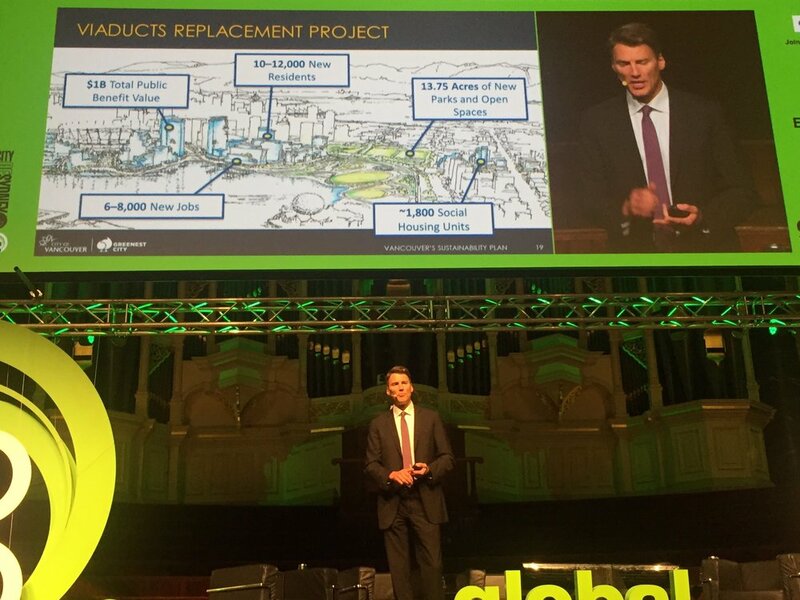 If we stop stage three of Westconnex, the government would have 27 hectares at St Peters to dedicate to our housing crisis: just another reason why we need to fight against this project. Vancouver's renewables target is 100% by 2050 at the latest, they’re already sitting at 31% renewable now. A focus on public transport, walking and electric vehicles are playing a major role. The shift towards a low-carbon future doesn’t come at the expense of our economy. If #jobsandgrowth are your thing (*cough*, Malcolm) Vancouver has seen 49 per cent growth in green & food jobs since 2010 due to unwavering government support for investing in the future. However, taking action on climate and building a city for the future isn’t purely about investing in renewable energy. As Mary Robinson said at an earlier City Talk, climate action requires climate justice, and this great transition is also an opportunity for our society to redress the structural inequalities that divide us. "We are absolutely determined. 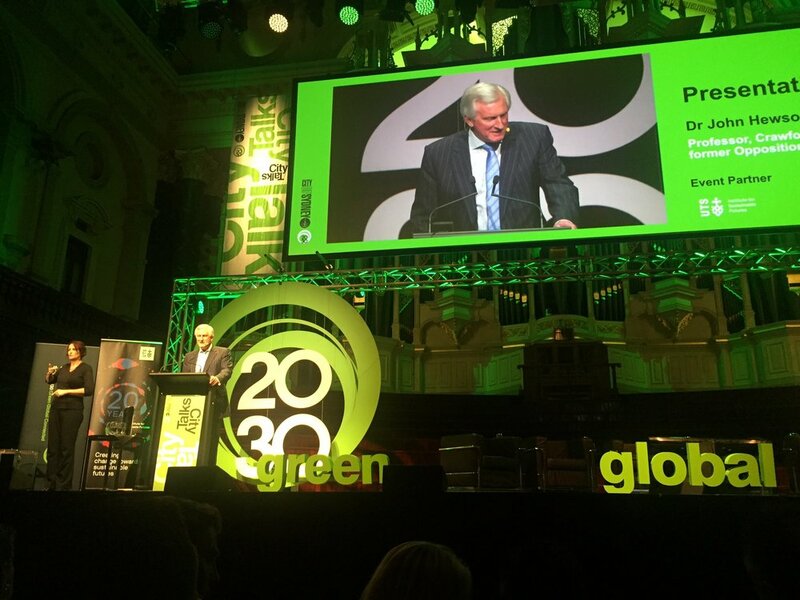 This is about the future of the planet, so we have no choice but to act," Clover Moore said at the conclusion of the night. It’s reassuring to know that so many world leaders stand ready to act too. Never miss another CityTalk again, sign up to receive an email every time tickets are available here.